When it comes to high-quality products, excellent customer service and first-rate custom Design, Jacobsen’s Flowers earns a four-star rating. From the young man buying a single rose for his first date to the father of the bride who wants nothing but the best for his little girl, Jacobsen’s Flowers in able to fit your every need. If you walk into any of our three locations simply looking for a bouquet of flowers for your special someone you will find flowers that are as fresh and beautiful as the ones we would select for even the most elaborate arrangement. 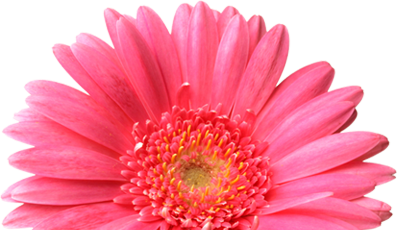 Our designers are highly certified and up to date on all of the latest floral trends. 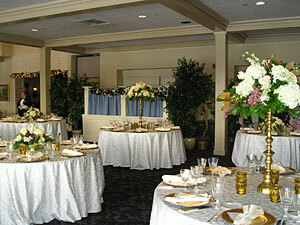 We specialize in weddings, events, home and corporate décor, sympathy and everyday floral design. 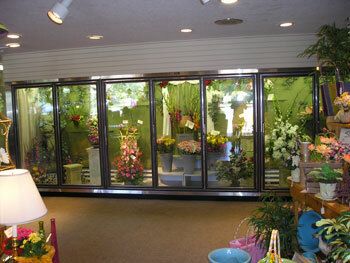 Regardless of how big or small your floral need, Jacobsen’s provides custom arrangements every time. Keep in mind that we will handle the ceremony as well as the reception, including the bouquets and boutonnieres, corsages and the centerpieces. We offer a wide range of rental items to add a little something extra to your wedding such as arbors, candelabras and crystal or silver trumpet vases. Regardless of your budget, Jacobsen’s Flowers can help you create the most memorable of wedding days. Having and event? Jacobsen’s Flowers can help. We will create decorative centerpieces and can incorporate green plants, fabric, tulle and lighting to make your arrangements compliment your décor. Rental items and balloons are available as well to enhance the party atmosphere. Are you looking to add life and beauty to your home or office? Jacobsen’s is able to give your space that something extra by sending its team of designers over to integrate fresh foliage, fresh flowers or silk arrangements to your home or work place. We specialize in decking the halls of our customer’s home with holiday décor. We will work with you as well as add our own special touches, and when the season is over we will pack the decorations up and store them for the following year. At Jacobsen’s we strive to help make the most special occasions in your life even more special. Still, the fact remains that flowers are also a symbol of comfort during times of loss. We are here to make that moment a little easier and can tailor arrangements or reflect the personality of the deceased as well as making sure that the flowers are where you need to be at the correct time. We always use only the freshest flowers in every arrangement, no matter what the occasion. At the end of the day the one thing that we would like people to know is that flowers are more than just for special occasions. Flowers are for whenever the spirit moves you, for “just because”. Our custom bouquets are chosen from an expansive variety of flowers no matter what the reason. Be as creative as you want, send flowers to your fiancé one the third Thursday of every month or send flowers to Mom on your birthday to thank her for all she has done! The only limit is your imagination. No matter what your floral desires are nobody can help you quite like Jacobsen’s Flowers. 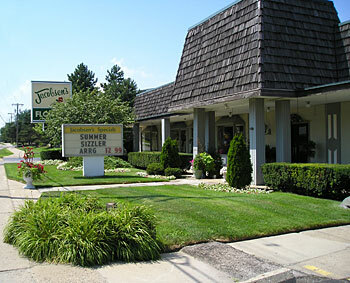 For over 80 years we have taken pride in offering our customers a wide variety of fresh flowers to choose from, a vast array of custom services and friendly and knowledgeable professional staff with a fleet of vehicles ready to satisfy all of your floral needs.